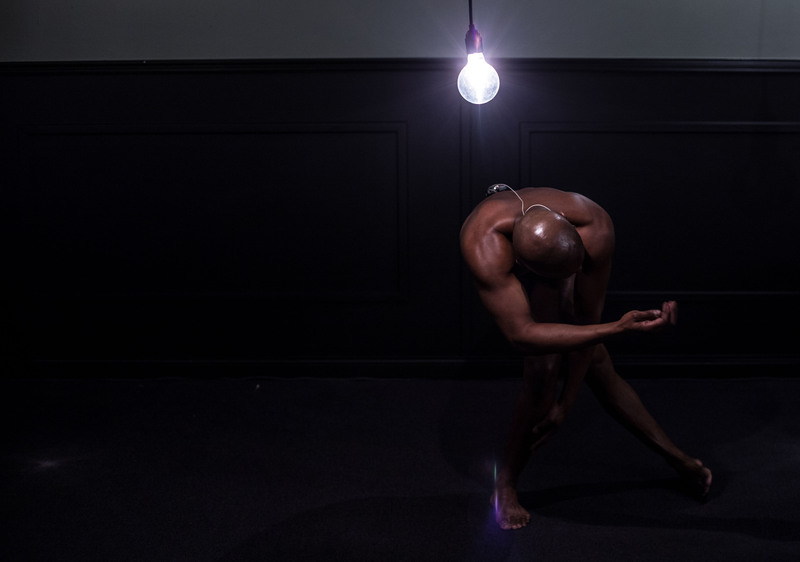 The performance “My Body, Your Room” is an audio-visual interactive art installation and dance performance, where the body of the performer is the source for the sound and the light behavior in the room in real time. Using wearable technologies, the performer transforms the room into a networked space, where his heartbeat and breath are the source for the performance score and create a strong empathic relationship with the audience. Using a wireless heart-rate monitor and a wireless microphone the performer sends his biometric data to a computer, which amplifies the sounds and makes the light blink in the room in concordance with the performer’s heart-rate. Vision for sustainable futures: “My Body, Your Room” is about empathy. Empathy is the ability that we have to understand and share the experiences and feelings of others. The neurological approach posits that empathy is innate to humans, because we have mirror neurons in our brains, which react to the experiences of others. Both in performance studies and in neurology there is an interest to understand how empathy functions in human interactions, although is a gap in the way these two fields approach the study of empathy in their research methods. The performance “My Body, Your Room” is an audio-visual interactive art installation and dance performance, where the body of the performer is the source for the sound and the light behavior in the room in real time. Using wearable technologies, the performer transforms the room into a networked space, where his heartbeat and breath are the source for the performance score and create a strong empathic relationship with the audience. Using a wireless heart-rate monitor and a wireless microphone the performer sends his biometric data to a computer, which amplifies the sounds and makes the light blink in the room in concordance with the performer’s heart-rate. This performance was developed as an interaction design research by Sandro Masai in the Design School Kolding with the intension to understand and improve the interaction in a performance setting using embodied methodologies. Vision for future cities:This practice-based research project is an ongoing investigation into how the interactive technologies can strengthen empathic relationship between the audience and the performer. The results consist of feedbacks from the guest performers and audiences of the experience, where the performance aims to understand how we form empathic bonds with networked spaces, how embedded technologies (in the body, in the space) transform the body’s ability to interact with the space, and with the other bodies in the space. The dance performance will begin at 20:30.